Out with the old and in with the new! It is time to make your intensions and set yourself up for success in 2019! 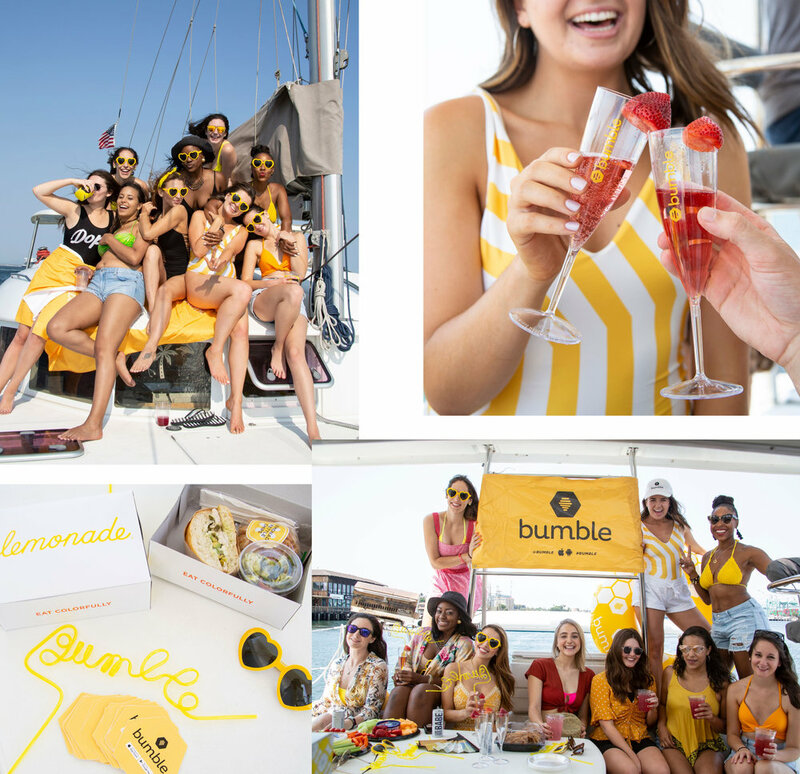 Bumble users came to hangout with some their favorite brands as we broke up with the bad and put ourselves first this year. We had SO MANY fun things for everyone who attended including, Lather face and hand treatments featuring their most sought-after natural wellness and skincare products, Stacey Ike (founder of Fight For Your Fairytale) showed attendees how to make a vision board with a purpose and we had careers advisors onsite from The Forward Female to help users start thinking about what they deserve in business and life this year! 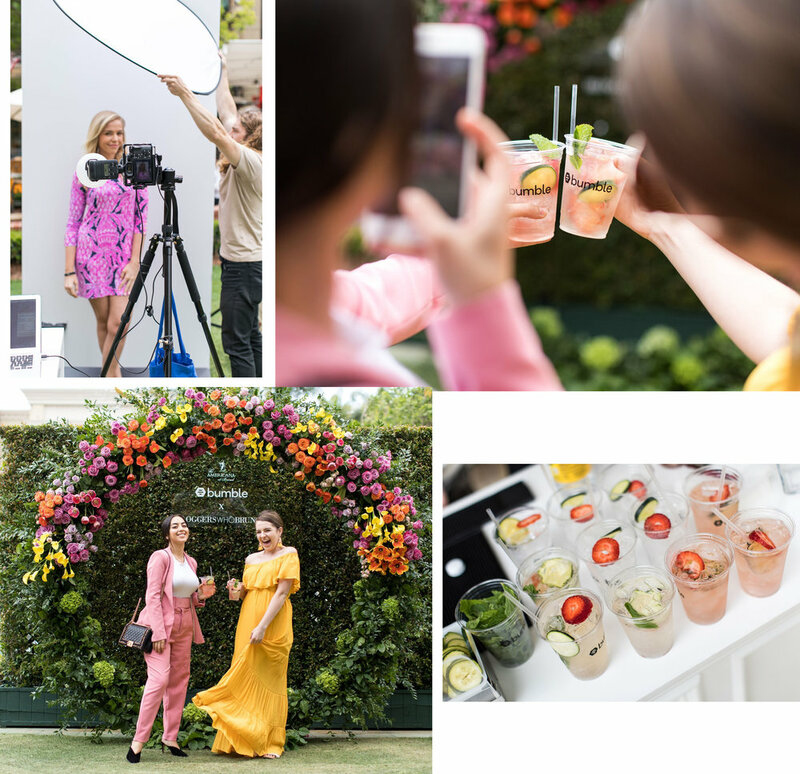 It isn't a party without some bubbly, light bites, good people and GIVEAWAYS - this event was INCREDIBLE!! 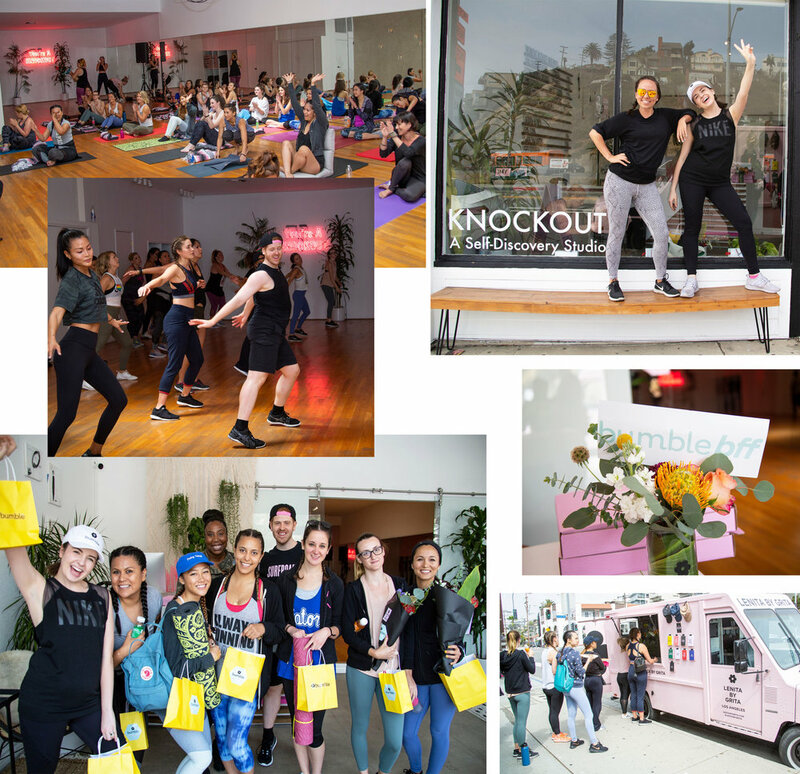 We had so much fun at our 'Ultimate Girls Night' event in LA. We partnered up with Rooftop Cinema Club and Boss Babe Inc. to bring 180 amazing people out to watch 'The Devil Wears Prada' on the NeueHouse rooftop in Hollywood. We had a hair bar by PRIV, hand massage station by LATHER, Bumble Profile Doctor Station, specialty cocktails and unlimited popcorn for everyone who swiped at least two times on their Bumble profile. So much fun and a big success!